Feel like you’re constantly being pulled in all directions? It can be a huge challenge to be as efficient and productive as possible when there’s so many demands on your time. With numerous issues constantly needing to be solved, there’s never any time to focus on delivering the strategy to grow your business. You really need to be smarter with your time to drive business change. But how do you step away from operational roles and focus on key tasks to keep your business moving faster than your competition? 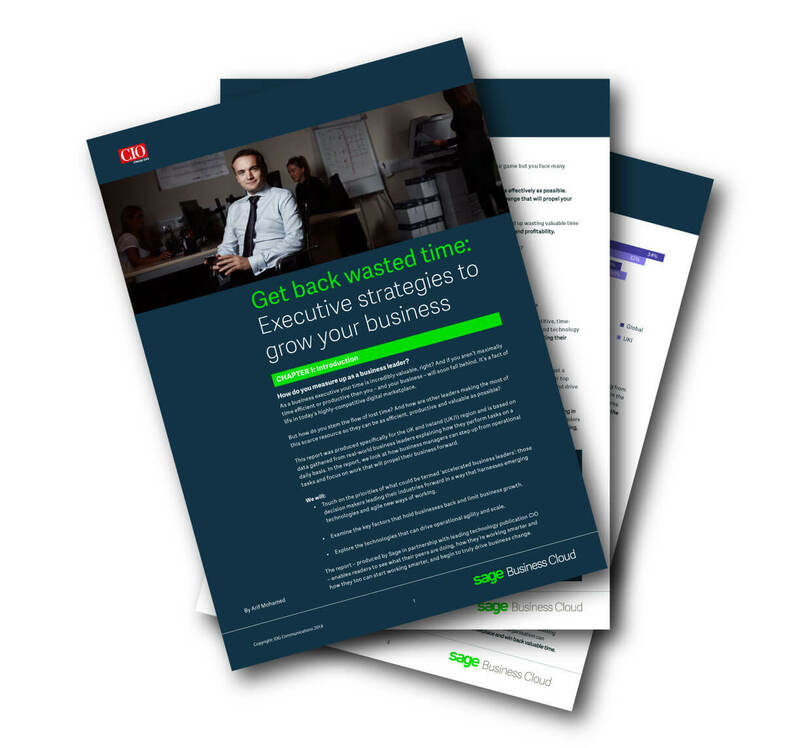 The ‘Get back wasted time: Executive strategies to grow your business’ report from Sage and IDG Communications reveals just that. Follow the steps to identify your problem areas, determine your business priorities and discover how to get your time back to focus on achieving your business ambitions.